Anyone missed what’s happening in London at the moment? Yup, thought so. Even if you don’t normally watch sports on TV you can’t miss the Olympics. They are everywhere. I’m not that much into spectating sports from the couch, but there is something enthralling about the Olympics that glue me in front of the TV. There is also something enthralling about the southwest coast of England. Think thatched cottages, wild ponies, green moors, beautiful coastline. So if you are in London right now, first of all, I’m jealous. But if you are there and feel the need to escape the busy city (it MUST be crazy out there right now! 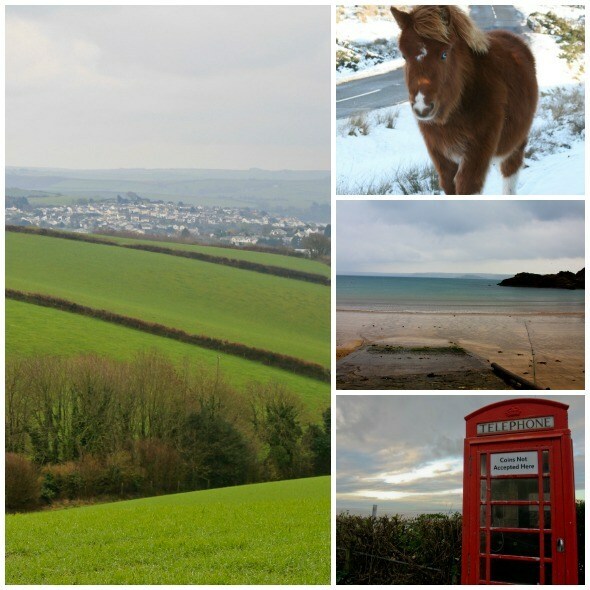 ), why not escape to the beautiful southwest corner of England, Devon? This is also the perfect destination year around if you are thinking of a trip to the City and want to do something different while there. I first visited Devon almost ten years ago when my now husband, who is from the UK, suggested that I would join him there for the winter. At first, I was not keen at all. I was dreaming of more exotic and warm locations of India or South America but somehow he managed to persuade me and Devon quickly stole my heart. Now I return to the area once or twice a year for some country pub charm, kayaking, wild pony encounters and strolls on the beach. 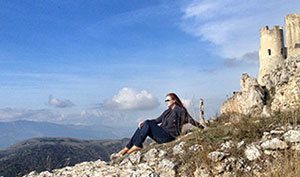 However, if a trip to England is not in the plans for you in the near future, why not take the time during your next city break to anywhere really, to explore what can be found outside the city boundaries. 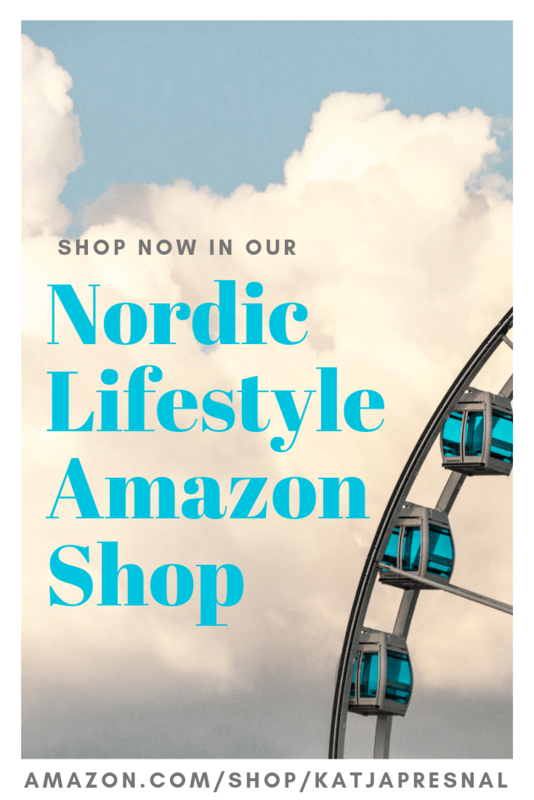 Do you already have a favourite out there beyond the big cities? I would love to hear! Devon is less than 2,5 hours away from London by train. You can catch the First Great Western train from the Paddington Station to Exeter or Plymouth, or to one of the smaller station in between the bigger cities. It is worth buying the train tickets in advance, check thetrainline.com for specials. Alternatively you can rent a car and have the freedom to explore the region on your own. I would highly recommend hiring a car in Devon. If you only have a couple of days to spare, this way you can explore the county at your own pace and easily reach the small quaint villages and secluded beaches off the main roads and transportation links. Here are some of my favourites in the county. A city full of character and ancient history, Exeter is the destination for history lovers, shop-a-holics and for those looking for a good meal or excellent pint of beer. The majestic St Peter’s Cathedral with its Norman towers dating back to 1133, the medieval Underground Passages and the Historic Quayside all tell the story of a city rich with history and folklore. 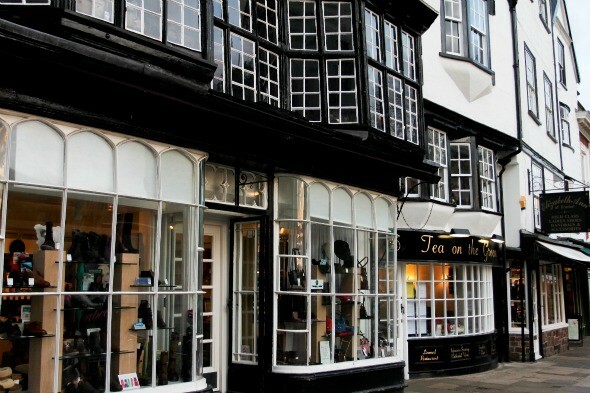 With more than 700 High Street and independent stores there is something to everyone’s taste, and when taking a break from sightseeing or shopping,the traditional Devon cream tea will get the energy levels back up for some more strolling along Exeter’s streets. For more information and inspiration, visit Heart of Devon, the tourism website for Exeter and the nearby coast and countryside. Totnes is a small, unique market town in the hearth of South Devon. I would describe it as “hippy gone rich”, meaning that it seems to be inhabited and run by ex-hippies who have embraced the more corporate world while still holding on to their more alternative values. And all of this in a very good sense. 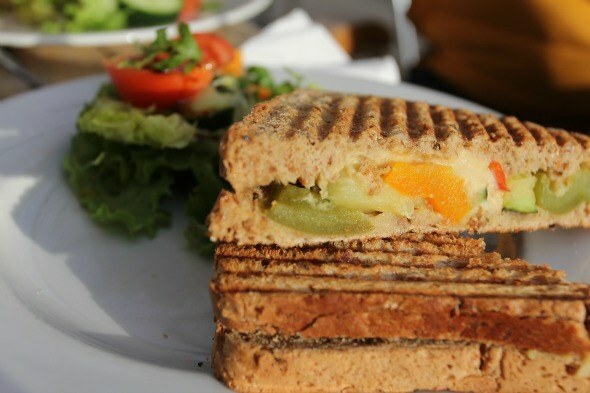 The town’s streets are lined up with interesting independent shops, boutiques, cafes, restaurants and pubs, and there are many tasty alternatives for those with vegetarian diet too. The annual Totnes Christmas Festival Evenings in December are worth a visit, this is the best Christmas Market I have visited with a cozy atmosphere, varied selection of food and great ideas for under the Christmas tree. 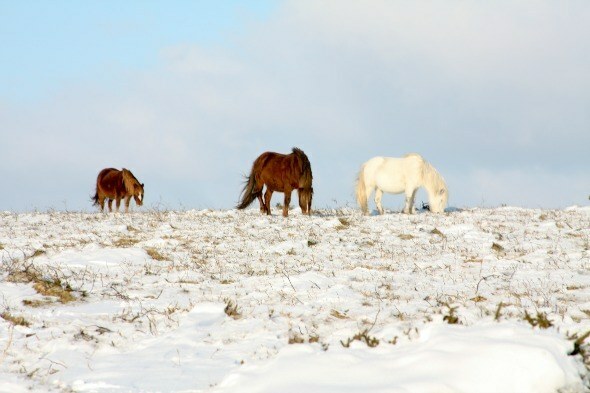 You might have already visited Dartmoor through Steven Spielberg’s recent blockbuster the Warhorse, which was filmed in the area in the summer of 2010. A visit to Devon should not be done without taking some time to stop in this area to stroll along the footpaths criss-crossing the park. The green rolling hills, the narrow hedge-lined roads and wild ponies you may meet offer a great contrast to the busy city life offered by the region’s bigger hubs of Exeter and Plymouth. Devon is an excellent spot to practise or try out various water sports from surfing to kayaking and rafting or fishing. If water sports or fishing are not your cup of tea, a day on the beach or a picnic by the river provide for an excellent day out nevertheless. Donkey Sanctuary? Yeah. You are allowed to laugh. But this is a must for any animal lover or family with small kids. The Donkey Sanctuary in Sidmouth is a charity and a working farm, and home for around 200 donkeys who live in small groups around the farm area. During your visit you can explore the walks around the area and meet the donkeys, many of them very friendly towards visitors. The Sanctuary is open 365 days a year and there is no entry fee. Besides dining and wining in the county’s cities or small towns, some of the best culinary experiences I have had in the area are in the tiny little family owned pubs found in all the small villages of the area. One of such is found in the village of Ughborough. The Ship Inn won the title of the “Best Dining Pub of 2011” by DevonLife Magazine and the food is just as good as you can imagine from an award winner. If you are looking for a hearty meal made of organic local ingredients, the restaurant of the Riverford Farm is a no-brainer. Check the website for the current menu and booking. There is an abundance of accommodation in Devon from B&Bs to hostels and from luxury hotels to camping. Many of the country pubs and freehouses that are so great for an evening meal and a tasty pint of local brew also offer accommodation, and this is a great option for an authentic Devon experience. One of my favourite freehouses can be found in the small village of Croyde in the coast of North Devon. 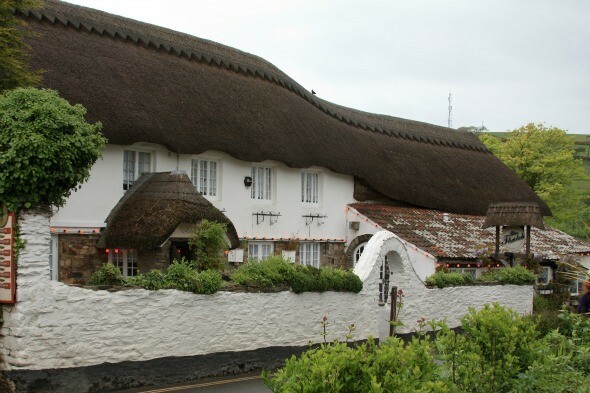 The Thatch with its 25 and then some years of experience is a local phenomenon and not surprisingly, is regularly featured in UK travel and food magazines. I’ll have to add Devon to my list of places to visit! It looks just lovely! It is beautiful, hopefully you’ll get to cross that from your list one day! Ha ha, it should! It is great spot though and it’s kind of amazing that not everything has been turned into a money-making machine these days. Such beautiful architecture. Love England. Never been there though. There is a great mix of old and new architecture in Devon and everywhere else in Britain as well, I guess. But I especially love these thatched cottages. Me neither, and I so want to go! What!? You definitely have to make a visit to the UK! :) Devon is great, there is so much to see and do both for adults and kids. It does get REALLY busy in the summer months and holiday periods though, the small country lanes are great for making traffic chaos… I should’ve actually mentioned that in the article. But outside the busiest tourism seasons it very much has country charm. Can you believe I’ve never been to UK? I’m dying to go, especially now when it’s all about London.. but I have to admit that Devon looks like much more of our family’s type of place, and my kids would like visiting Devon much more than London! Thank you for writing this Satu!